There are no certain traces of the origins of Presicce. It was probably founded as a settlement between the VI and VIII century, whilst there are guaranteed traces of a hamlet at the Norman times. In the past centuries the local economy was based on agriculture and the local wealth is evidenced by the presence of various underground oil mills. The Duke's palace is at present the seat of the Farming Museum, surrounded by roof-gardens built in 1630 and a small doorway built in 1791 and battlements of the early '900. The simple and elegant façade of the Church of Sant'Andrea Apostolo, edified between 1776 and 1781, in Baroque style, features a Latin Cross shaped building with 9 altars and an attached bell tower of the Renaissance. 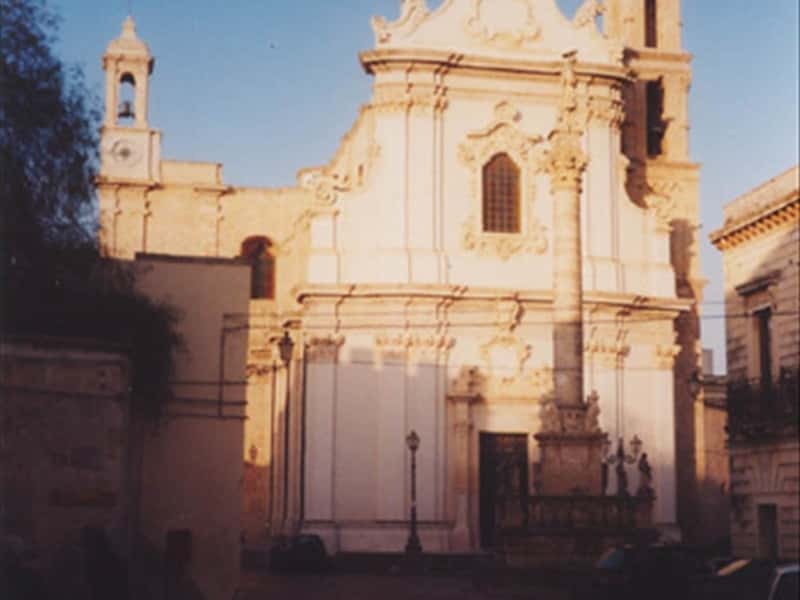 Not to miss: the Church of the Angels, built on request of the Baron Filippo Antonio Cito, on the ruins of a pre-existing church, destroyed by the Turks and reduced to a sheep-fold; the Church del Carmine, with a late Baroque altar in chalky stone from Lecce, the Monastery of the Carmelitani and the burial Church (dei morti), known this way for the underground tombs present here, today walled up and not visible anymore. This town web page has been visited 18,438 times.